7. 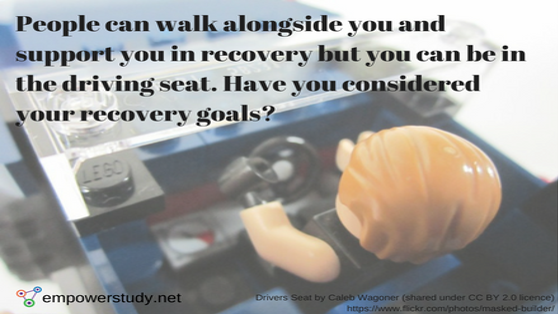 People can walk alongside you and support you in recovery but you can be in the driving seat. Have you considered your recovery goals?